Alpharetta – December 10, 2013 – Rk & Co. Jewelers was named a Best of 2013 winner for Atlanta Jewlers on Kudzu.com, a leading source for local business information and consumer reviews. Over 5 million local businesses competed across a wide range of categories including home, auto, health and professional services. Winners were determined based on thousands of votes from consumers in the Atlanta Metro Kudzu community. RK & Co. Jewelers received the top honor and will be recognized with a Best of 2013 badge displayed on their Kudzu business listing page. “The ‘Best of’ contest allows consumers to show their appreciation for local businesses that have served them well. Kudzu is proud to be an avenue for this support, and to recognize companies that offer the highest levels of service” stated Fran Wills, General Manager of Kudzu. 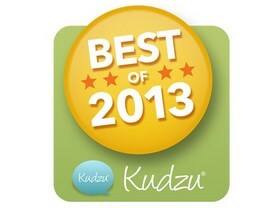 Please visit The Best of Kudzu for a full listing of the Best of 2013 winners. We strive to produce a best-in-class relationship with our clients by offering superior products through a customer focused experience. The owner, Reza Khalaj, lost his mom to breast cancer in 2009. In her honor, we replaced the ampersand in our name with a pink ribbon. I also feel compelled to do everything in my power to help the fight against this horrible disease. We have partnered with Northside Hospitals’ Breast Care Program, Children’s Healthcare of Atlanta, North Fulton Community Charities, and Angels Among Us Pet Rescue. A portion of jewelry sales is donated to these wonderful organizations. We are proud to be the first and only jewelry store in the nation that is committed to this cause every day of the year, not just October. Kudzu.com helps consumers evaluate local services and choose highly rated providers in their area. The website features expert videos, business profiles, consumer reviews and money-saving deals in every major U.S. city. Kudzu.com is owned by Cox Search Inc., a subsidiary of Cox Enterprises, a leading communications, media and automotive services company. Cox’s businesses include Cox Communications, Manheim, AutoTrader.com and Cox Media Group. For more information, please visit Kudzu.com.